The Weekend Go Go: French Fotos, Eat & Drink for Boston, A Hardboiled Dinner. GoGo’ers, the coming weekend has waited patiently. Now this weekend’s time has come. Parisians don’t just send their photos anywhere. For the past 16 years, the prestigious French photo show’s American venue has been exclusively in New York. This year, the City of Light brings the show to the City of Angels. Because let’s face it…everything looks better with a palm tree. 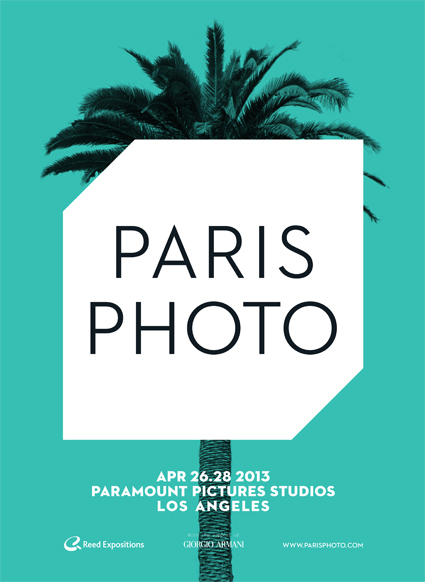 Paris Photo LA opens Friday at Paramount Pictures Studios back lot with 72 galleries and publishers from 14 different countries represented. Fred Herzog (Equinox – Vancouver), who began showing his color-saturated Kodachromes at the age of 72, will have his first Los Angeles show at Paris Photo LA. Jonas Mekas (Deborah Colton – Houston) presents visual “haikus” of the World Trade Center taken from his Soho apartment between 1975 and 1995. The photos of David Armstrong (Brachfeld – Paris) offer a window into the vibrant late 70’s cultural scene and artists such as Jean-Michel Basquiat and John Waters. The Sultan of Sleaze…always a draw. Daniel Blau (Munich) presents a group exhibition of vintage Pulitzers, Pictures of thIne Year, and other prize-winning photographs from the 20th century. The group exhibition from Esther Woerdehoff (Paris), includes the late Karlheinz Weinberger’s photos of 1960’s Swiss rebel rockers who were labeled Verlaustan (translation: “covered with scum”) by the conservative Swiss establishment. There are book signings, discussions on the back lot with image makers, both moving and still, Andy Warhol’s art car, and screenings of shorts including James Connor’s 1966, don’t-miss Breakaway with Toni Basil. Naked and also in polka dot tights. Culture can be so exciting. Drink AND Eat for Boston. This Saturday, April 27, Los Angeles bars and restaurants are raising money for LADrinks2Boston — a citywide event uniting bars, restaurants and those who love them — and Boston. Ms. Go Go knows that’s you. Proceeds from participating establishments will go to One Fund Boston, which was established by Massachusetts governor Deval Patrick and Mayor Thomas Menino to aid victims and families affected by the tragic bombing during the Boston Marathon. A number of eateries and drinkeries are generously donating 100% of sales of certain items. — Short Order‘s White Rum punch with Farmers’ Market fresh squeezed juices. 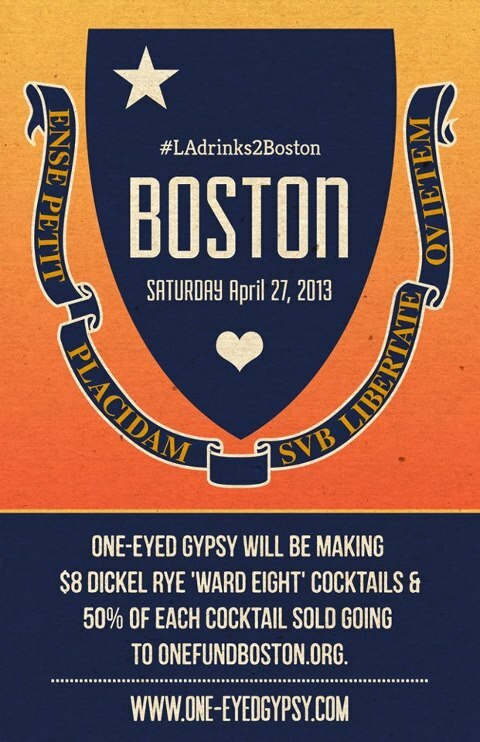 Check out the LADrinks2Boston FB page for more places, like One-Eyed Gypsy, to eat/drink/love Boston. Use #LAdrinks2Boston hashtag when participating to show your support. When she grows up, Ms. Go Go wants to be Nick and Nora Charles, the hard-drinking, bon vivant detectives created by Dashiell Hammett in his novel The Thin Man. 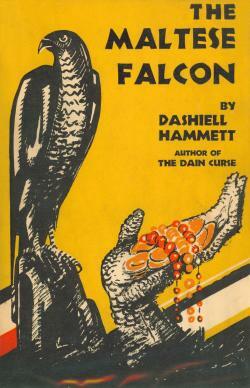 Those Go Go’ers whose career aspirations also include cocktails, corpses and a Schnauzer named Asta can get their fix this Saturday at the Literary Salon of Los Angeles Visionary Society’s A Dashiell Hammett Evening, which is held, appropriately, at the private, 1912 Los Angeles Athletic Club. Your ticket includes talks by and Q&A with Dashiell’s granddaughter, Hammett scholar Julie M. Rivett, and Hammett biographer Richard Layman as well as a gourmet, mid-century buffet dinner. Members of The Long Beach Shakespeare Company will present scenes featuring legendary Hammett characters The Continental Op, The Femme Fatale and Nick and Nora Charles. Naturally, there will be a cash bar. Drink accordingly. Go here for art, not beer. What’s 18 acres, a million shapes and colors, and free? Of course it’s the Brewery Art Walk, the twice-a-year artists’ open house for the looky-lou in you. Get your art-on at the former Pabst Blue Ribbon Brewery; the Saturday and Sunday art extravaganza features 100+ creative spaces where painters, sculptors, fiber artists, photographers, designers, and more strut their stuff to the public. You’ll find art to buy, stairs to climb, and people to watch. Yep, you’ll pretty much be in heaven. 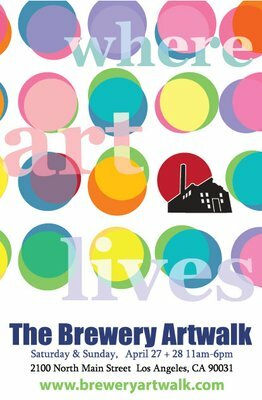 THE BREWERY ART WALK — Sat, April 27 – Sun, April 28; 11am – 6pm; FREE — Brewery, 2100 N Main St, DTLA 90031 http://breweryartwalk.com.